Royal BC Museum: Woolly: unplugged. From the desk of Melaina Haas, Communications Coordinator at the Royal BC Museum. 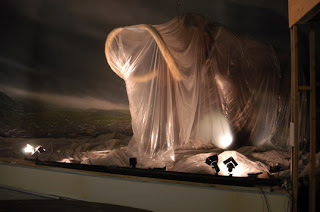 Our beloved Royal BC Museum mammoth is kind of a big deal. Nicknamed “Woolly” by those who work here, this guy has been featured in numerous cartoon strips, books, research papers, online magazines and international newspapers. Elephants have had a looong history on this planet – at various times over 55 million years, more than 500 different kinds have walked on this Earth. And aside from the tropical African Elephant and the Asian (or Indian) Elephant, all have since disappeared. 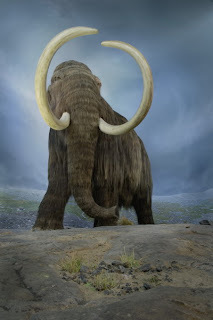 The remains of four mammoths (extinct elephants that were somewhat adapted to colder climates) have been found in British Columbia: the Woolly Mammoth, the Columbia Mammoth, the Imperial Mammoth and the Mastodon. 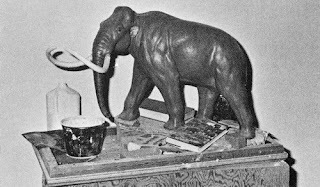 The Woolly Mammoth, more closely related to the Asian Elephant than the African elephant, first entered North America some 65,000 years ago. A visitor favourite and permanent fixture of the Natural History gallery for decades, the first incarnation of our Woolly was a dream in the form of a small model. For the first 30 years of his life, Woolly lived behind a wall of glass. 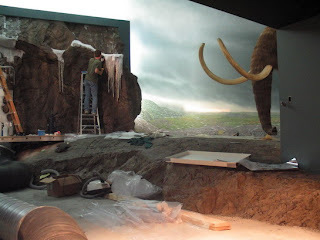 In May 2004, the mammoth-sized diorama had a major overhaul. The glass barrier was removed and fans were installed, simulating the chilly ice age winds. A wall made of real ice and fibreglass casts of glaciated rocks were added, completing the ice age experience. The revamp was a hit. 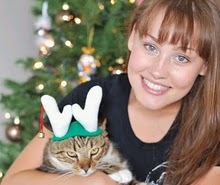 And in December 2008, Woolly found his voice. A soundtrack of wind, elephant trumpets and ptarmigan chirps was installed. Take a listen for yourself. Although the Woolly Mammoth went extinct some 10,000 years ago, our dear Woolly continues to delight thousands of visitors every year. 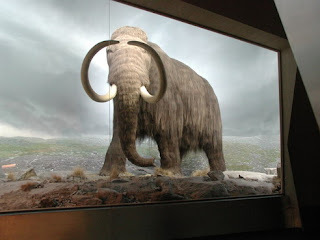 For more about mammoths, read this article by Royal BC Museum curator of archaeology.